No matter where I live — Edinburgh, New York, Lyon — I crave the tastes of my homeland, North Carolina. Although there’s no way of obtaining Cheerwine or hushpuppies over here, I know that if I can locate an Indian grocer, chances are good I’ll be able to feed at least one of my cravings. Most Indian grocery stores carry a variety of imported produce, from bitter gourd to fresh chilies, and nearly always okra. I’d been hunting around Edinburgh for weeks for a good Indian shop when lo and behold, my boss moved in right above one. I’ve been getting my okra (and chaat, and paratha) fix weekly ever since. Try it with any grilled meat and some sliced ripe tomatoes. Or, if you can’t control yourself like me, just eat it by hand like popcorn. 2. 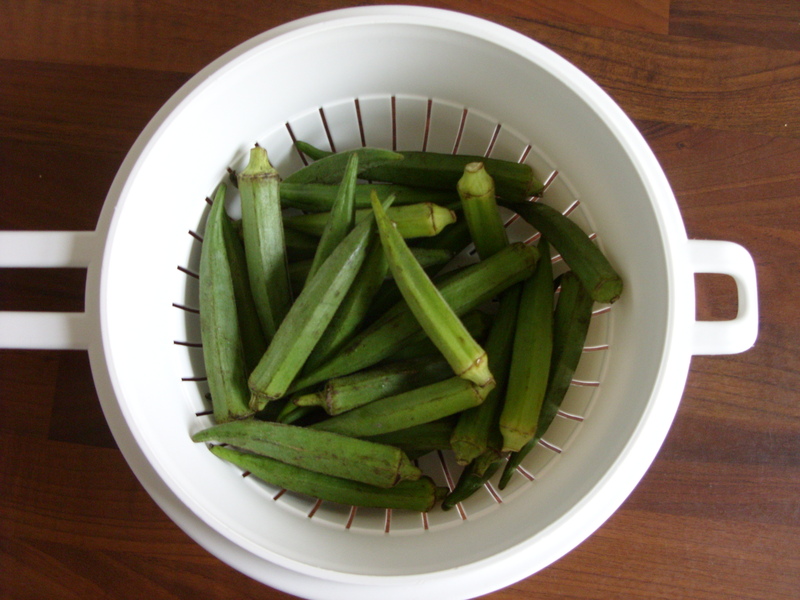 While the oil is getting nice and hot, slice your okra and wash in a colander. Dump the cornmeal and work with your hands until each piece is well coated. 4. When okra is golden brown, remove from pan and serve hot. If you want to spice it up, try adding cayenne or chili powder to the cornmeal, or sprinkle on top as the okra cooks. 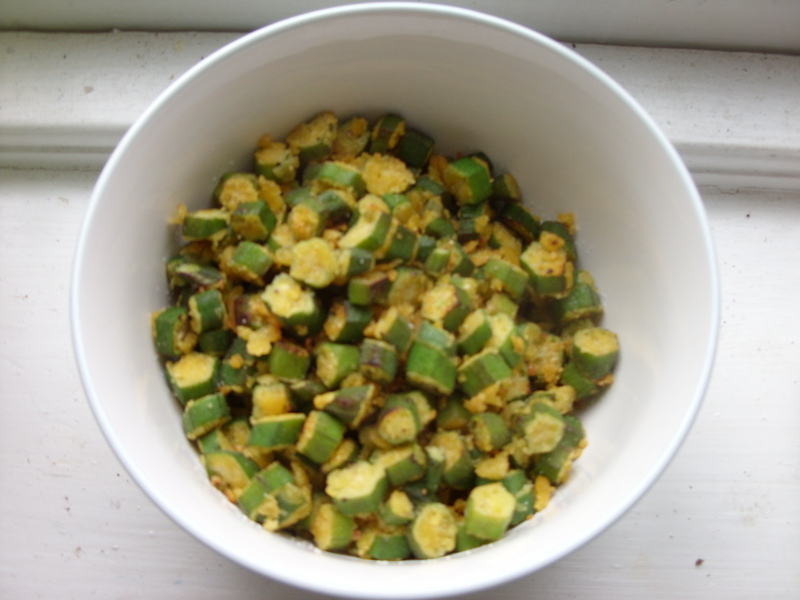 Okra so is abundant in the Philippines (we usually add it in stews though) and I have been looking for this fried okra recipe. Well, a recipe I know I can replicate anyways. My pleasure! I never had stewed okra until I was an adult — I always thought I wouldn’t like it, but I actually find it delicious! Fried is still my favorite though — takes all the stickiness out!